He is extremely funny. Rowan Atkinson, populary referred to as ,Mr.Bean can make anyone laugh with his so called antics. His eye-balls speak a lot. This most respected English actor can do wonders with his facial reactions which at times turn out to be gross for the viewer. 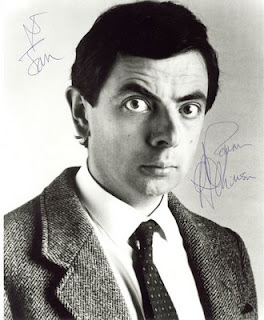 His success with his comic series Mr Bean made him to act in a few movies. But Only one movie,"Bean-The movie" made it big. His other movies viz- Rat race, Johnny English all had pale humor that did not depict his class. But on his day, Mr.Bean is a class apart. From Rags to riches; This one guy has proved to the world that with a little variation in facial expression and a slight modulation of the voice, wonders can be made on the golden screen. He started slowly and he is just going up, up and up in the ladder. 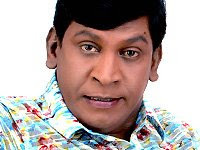 Vadivelu is surely one of my all time favorite comedian. 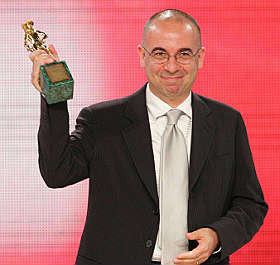 One director; whose movies I can blindly watch is Guiseppe Tornatore. This Italian wonder-film maker has made the greatest ever flicks like Cinema Paradiso, Malena, Legend of 1900, La Sconusuita. 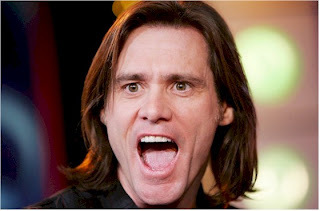 If there is one Guy with whom I can find hundreds of similarities with myself, It has to be Jim Carrey. His Ace Ventura series still can make me laugh on and on. Every single cell in his body has great expressions. Though he has many gross expressions, I still love this guys for the talent he has. BTW, the movie I was directing for the last one month has finally got shape. Would upload it soon. i heart mr bean. got the complete dvd set. i can never be bored again! Why don u add somethin abt Charles Spencer Chaplin? Me fond of Mr.Bean and Carrey as well and my friends laugh at my pick of Bean. you're directing a movie? why didnt you tell me? !